So what does it take for 50 new designs to be launched in the online store? Loads and loads of work, that’s for sure. 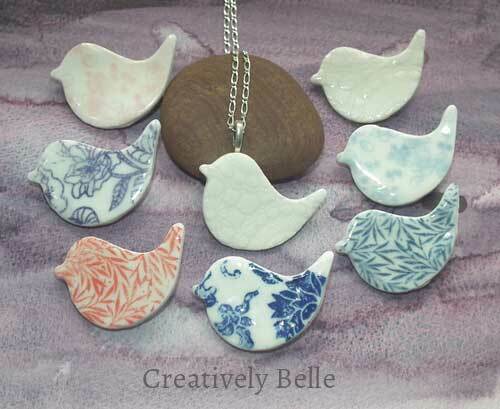 So I’m completely delighted to announce that I’ve managed to jump all the hoops needed to bring to you an entirely new collection of ceramic jewellery in brooches and necklaces, and in a range of colours too. The new category is Every Day Treasures and they come in a range of colours. 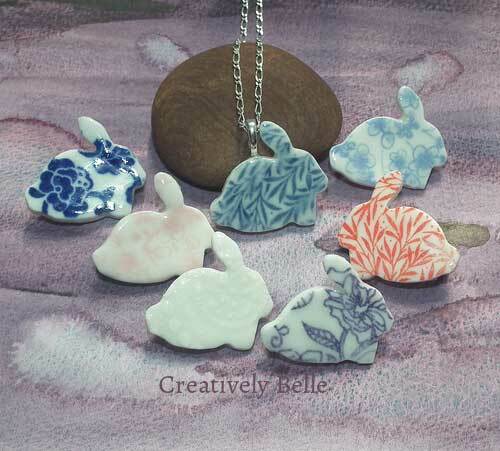 Our bunnies come as brooches or necklaces. 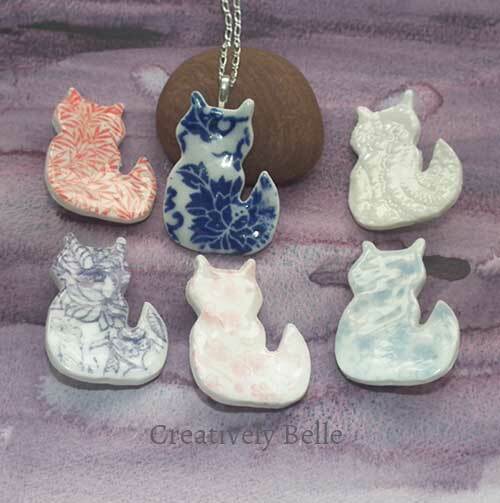 In brooches and necklaces, these delightful cats are happy and just that little bit smug. A Family of Bossy Studio Cats! 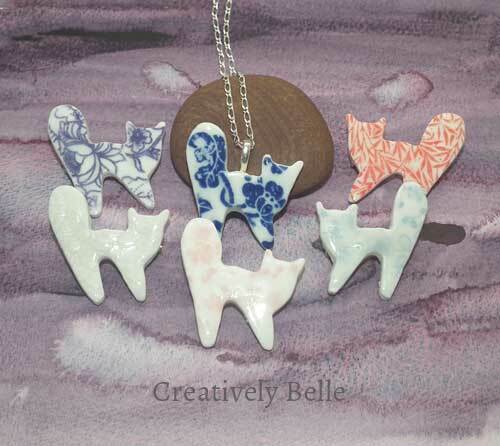 Inspired by my studio cat, these girls are just beautiful and in necklaces and brooches. For spreading love around the world…. 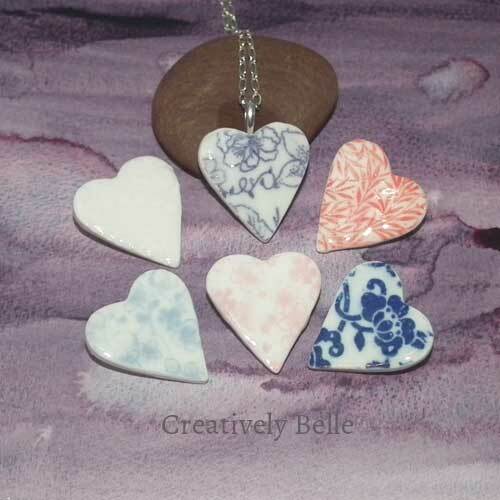 The large heart necklaces and brooches also come in a range of colours. Want a heart in a smaller design? 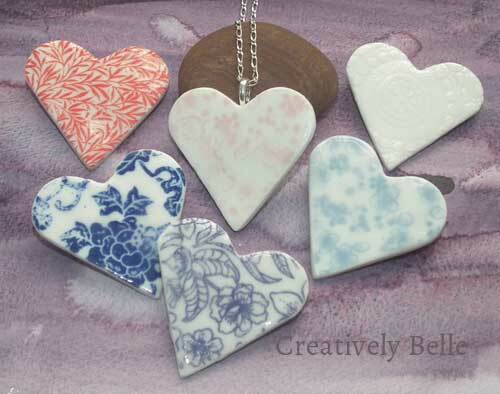 Here are some more beautiful heart necklaces and brooches. Who’s for a Pot of Tea? Love tea and want something quirky and fun? 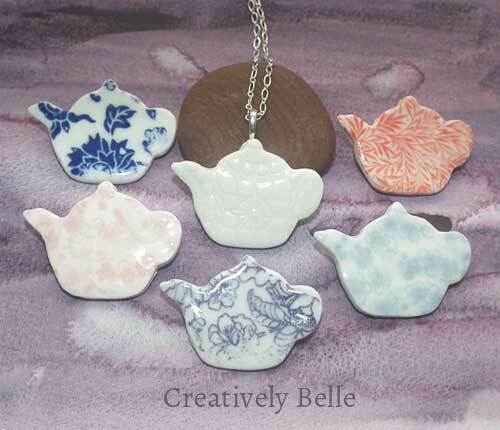 Take your pick of our tea pot brooches and necklaces. Or maybe turtles are your thing? 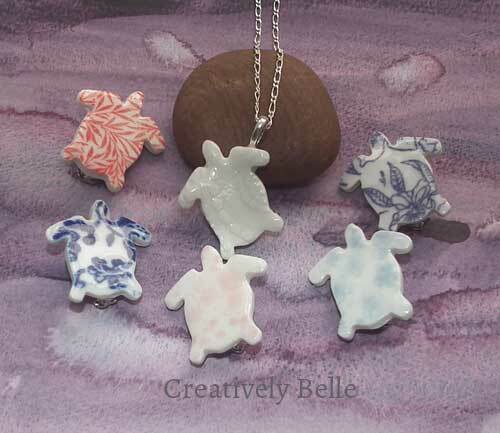 Select from our range of turtle necklaces and brooches. 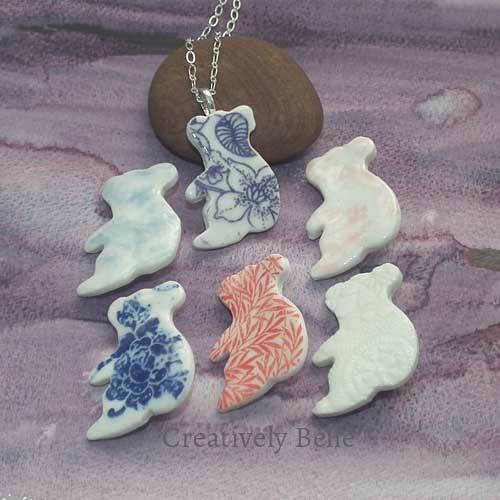 Your choice of dog necklaces or brooches. 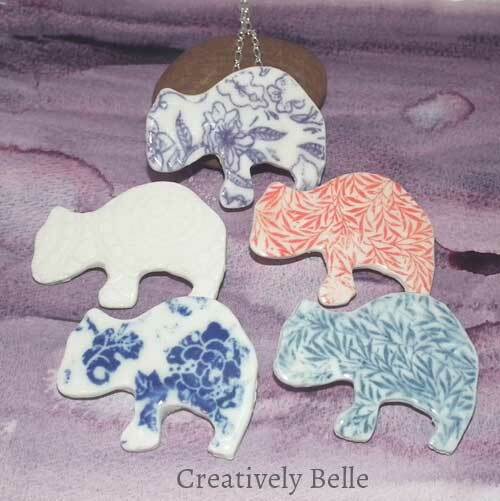 OK, I have a bit of a thing for wombats, you’ll notice there are a few of these cheeky characters in my ranges, but who can resist? These handsome characters come in a duo necklace and brooch format so they can be worn as either a necklace or a brooch. 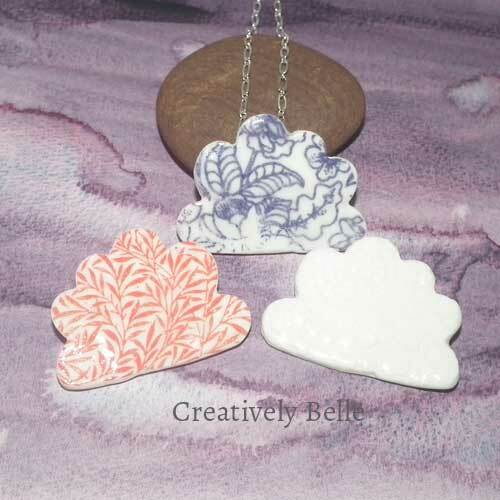 These are duo cloud necklaces and brooches – two in one! 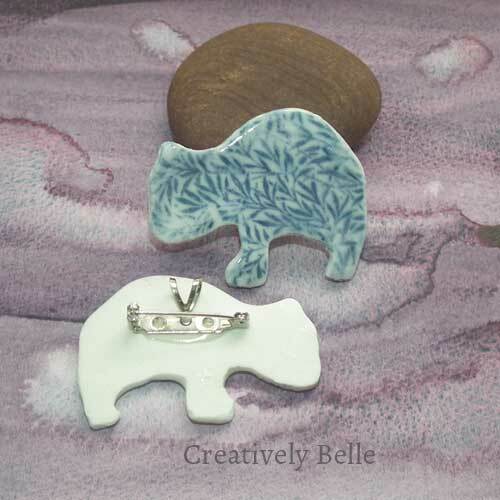 Your choice of a koala necklace or a brooch that’s actually handmade in Australia from Australian porcelain. 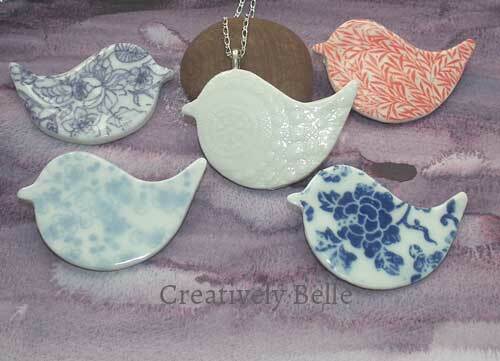 Available in necklaces or brooches. These are also in necklaces or brooches. This too is a duo necklace and brooch. Anyone with their own small creative business and a website knows how all consuming it can be to update an entire new range of designs. For me it’s involved photography lessons from one of my treasured market family (that took a day, partly because we just played in her beautiful studio!) and finding the right equipment for me to setup a version of her little photography studio. I then started learning new features on my camera and taking test photos. Next was learning more skills on my laptop for editing the photos. Then a day was lost to technical gremlins (stupid, nasty buggers they can be!). Once sorted, it was about uploading the photos to the backend of the website and starting to create and write the products, their descriptions and realising I needed to more clearly demonstrate the range of colours available – more photos and editing and uploading. I ended up writing a table listing the products, the photos needed and each stage so I could just mark it off and see where the holes were. This also made it a whole lot more satisfying and motivating for me. It all went on for weeks because I still need to make my work, go to market and the studio and the normal hurly burly. But determination won the day and I’m thankful for that. Yes, there’s more to do and there’s a plan for it so hopefully you’ll enjoy those changes to the website too. I keep telling myself it is all about phases, taking one step at a time. Interested in finding out more realities about behind the scenes of a creative business? Tell us on Facebook, Twitter and Instagram what you’d like to know – ask away!